In the past, invention was possible with a can-do attitude and a healthy disregard for the impossible. But in the future, we will need to add one new ingredient to this mix - the ability to code. Future invention and innovation across every sector will have technology and computational thinking at their heart. Computational thinking is not just a fancy way of saying “think like a computer”. It’s an approach to problem solving that sits at the heart of computer science, and can unlock huge potential across all industries. Computational thinking underpins the belief that today’s computing powers will be able to tackle a variety of problems in new ways. For example, scientists looking for cures won’t solely rely on the lab and test tube. They’ll crunch masses of data, looking for patterns and answers and applying new problem solving approaches - and that will require computational thinking! We want to see Australia’s young people make the most of these opportunities, and combine their area of passion with coding skills to step into exciting future jobs in everything from medicine to manufacturing to movies. That’s why we’re launching a new campaign and website, Start with Code, to inspire our inventors of the future to arm themselves with coding skills today. It’s full of resources for parents, teachers, and students, to help people take their first coding steps. And we’ll add to it over time as we partner with more organisations in Australia who share our belief in Australia’s bright tech future. We’ve also put together a book of stories about the people who are doing great things in coding and entrepreneurship today. Australia’s Innovation Generation profiles 10 Australians making waves here and abroad thanks to their big thinking and creative approaches. Wouldn’t it be amazing if the next Tesla Motors, iRobots, Twitters and Googles were founded in Australia? We believe that, with the right attitude to skills and innovation, we can create an Australia of new, high-value jobs, and in doing so, create a bright future for our talented young people. The first step? Start with code. Australia has a long, proud history of invention. Bright, inquisitive Australians are fond of asking themselves “how could I make the world better, and people’s lives easier?”. From these questions have sprung inventions from the boomerang to Wifi to Google Maps. We’re always working to make Google Maps as detailed and useful as possible, and now we need your help. Today, we’re launching Mapathon 2014, Australia’s first ever mapping competition where you can win prizes for updating information about local places on Google Maps. Every time you update an existing listing or add information about a new place, you’ll score points and can win some great prizes. The top fifteen winners will receive a Nexus 7 tablet and if you’re in the top five, you’ll also receive a $500 Red Balloon voucher to spend on your choice of dining, beauty, and adventure experiences. The competition runs for four weeks from the 24th of March to 20th April. So how does it work? Google Map Maker is an easy-to-use tool that allows users to add more detail to Google Maps through a few simple clicks. Using Google Map Maker, you can select a specific area on Google Maps and add new information based on your own local knowledge or by referencing the satellite imagery on Google Maps. With just another click, you can save and submit your edit — and once it’s been verified, the new information will appear on Google Maps. No one knows your neighbourhood as well as you - so take some time to share your favourite places to eat, drink, party and be merry with the rest of Australia. Click here to find out more about Mapathon Australia and how you can get involved. Does your local barista make the best mochaccino in Australia? Is there a hidden art gallery just down the road from your place? Or maybe you’ve found a restaurant that serves all you can eat ribs every Wednesday night? Collaborative storytelling, video crowdsourcing and mentoring for budding journalists in high schools are among the big ideas shortlisted for the inaugural Walkley Grants for Innovation in Journalism. The Walkley Foundation is proud to announce a shortlist of six projects which will go on to compete for $40,000 in seed funding provided by Google for innovative media projects. The internet has transformed the way we do journalism. The new tools and techniques, coupled with the freedom of the web to tell true stories in so many ways, has empowered journalists while at the same time disrupting the traditional news media business models. Innovation is vital to the future of journalism and it’s essential that those creating the content are also at the centre of experimentation and innovation as we create new models for storytelling. A panel of four judges from Australia and the US, representing experience in media, entrepreneurialism and innovation, met last week to select their top contenders from more than 120 applications. The calibre and sheer number of projects makes clear that Australian journalists are ready and waiting for resources to bring their bright ideas to life. They were looking for projects that will break new ground and channel seed funding into a brighter future for Australia media – backed by individuals and teams with the drive to bring their vision to life. All four judges agreed that the projects displayed an impressive diversity and a passion for great journalism. “NewsCube” by Skye Doherty: An application designed to encourage collaboration and storytelling from multiple perspectives. “The News Franchise” by Tim Dunlop and Hugh Martin: Offering professional journalists, community organisations, businesses and other content providers the chance to franchise a fully operational and maintained news website, and to develop a small business within the new media space. “Daticle” by Andy Kitchen, Jonathan Change and Stephanie Campisi: A web tool for enhancing news articles using a sidebar to display information and analysis automatically drawn from the relevant datasets. “Australian Start-up and Investment Guide” by Rose Powell and Michael Lyon: An interactive data-driven multimedia site providing a comprehensive and evolving profile of the local tech start-up scene. “Metaset” by David Ryan: A mobile video app that creates a platform for journalists and content curators to access, engage with and request crowdsourced content and citizen journalism. “Youth Bytes” by Stephen Turner: An online hub for student news production, providing mentoring by journalists and editors and a place for publication and networking. This new grants program is central to the Walkleys’ mission to encourage and support innovation in the Australian media. The number of applications far exceeded our expectations for the inaugural year of the Walkley Grants for Innovation in Journalism, and we can’t wait to see the final projects come to life. Since the Catlin Seaview Survey first collected underwater imagery of the Great Barrier Reef, they’ve traveled to many other underwater spots around the world to collect a baseline photographic record of the marine environment. Now, they’re teaming up with the Sydney Institute of Marine Science to record and reveal the marine life along Sydney’s famous Harbour and coastline, from Manly to Bronte. The project uses Catlin Seaview Survey’s 360-degree panoramic SVII camera to gather the imagery, which will be published to Google Maps later this year. 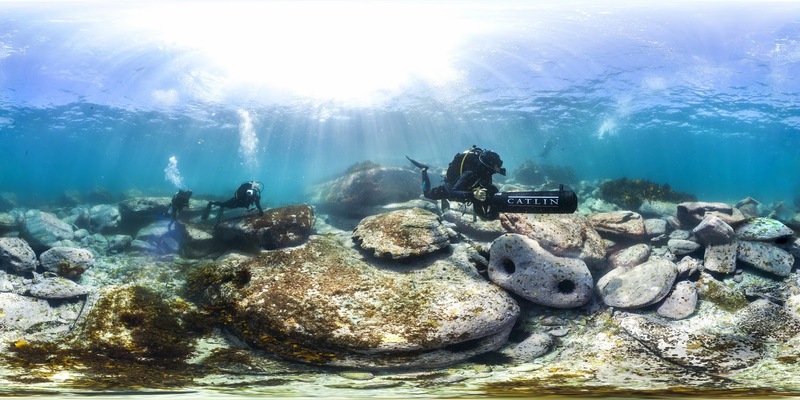 We hope this new Street View imagery not only advances important scientific research, but also inspires people to learn more about the beautiful—and delicate—ecology of Sydney Harbour and our local beaches. Street View imagery has been used for many purposes around the world, from town planning to artistic projects to disaster recovery. It can also be very valuable for scientists looking to better understand a place - even when that place is underwater. You can purchase individual episodes from $2.99, and some shows also offer a season pass so you can buy all of a season’s episodes for a discounted price. You can preview series like Breaking Bad, Community, Justified and others by watching the first episode for free. If you’re using iOS, download the Google Play Movies and TV app to stream your favourite shows on your iPad, iPhone or iPod Touch. For Android users, if you’re about to jump on a plane or want to save on mobile data, you can ‘pin’ the TV show to your Android device so that you can watch the episode offline. 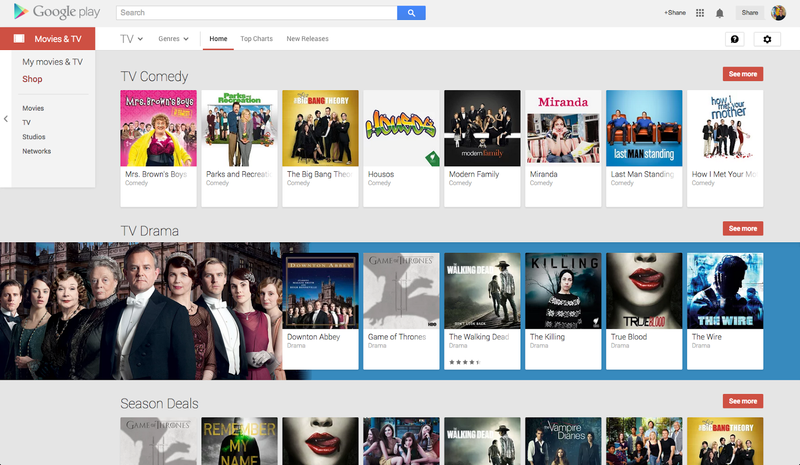 Follow us on Google+ to hear about free episode giveaways and next-day TV shows when they happen. We will be adding more TV shows soon as well so check back often. You can now watch your favourite local and international TV shows anywhere, anytime and on any device with the launch of TV shows on Google Play in Australia.